Say hello to Chastity and Candy. Yes, they are prostitutes. 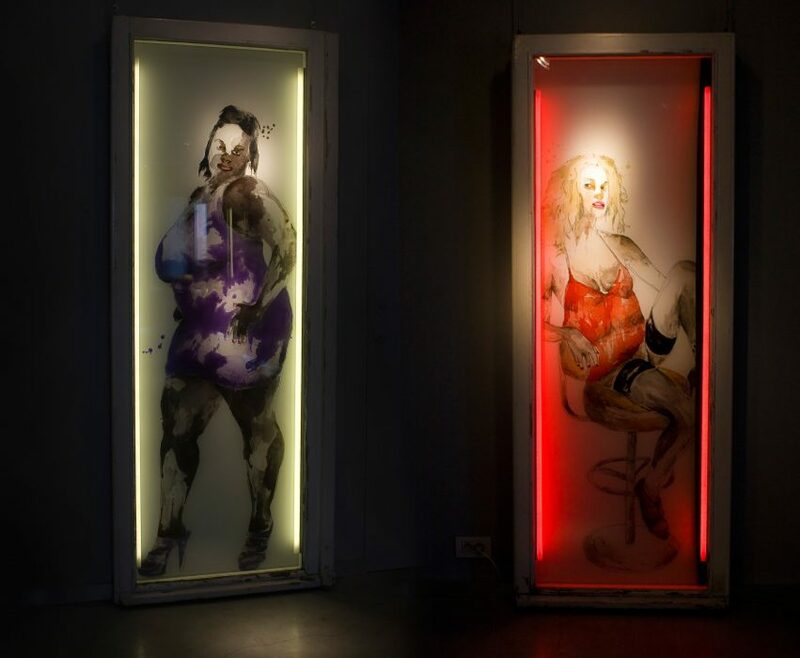 These ladies were part of a project I did in 2010-2011, when I painted 8 life-sized prostitutes on recycled windows using acrylic and gloss paint on plexiglass along with LED lights, aluminium, wood, curtains and rubber. Why I chose the theme of prostitution? Find out more on the project page.